Sparklike Laser Standard™: an offline solution for test labs and for desktop use. This never-before-seen non-destructive quality control equipment quickly arrived to complement the traditional invasive measurement technologies, where the sealing of the IGU is penetrated and the gas sample is calculated automatically. This way of testing is generally affordable with good accuracy, but require breaking the IG's structure. In practice this means that the IGU cannot be delivered to the customer or retested. On the contrary, with the new non-destructive measurement technologies, there's no need to break the insulating glass unit nor have any components inside the unit. 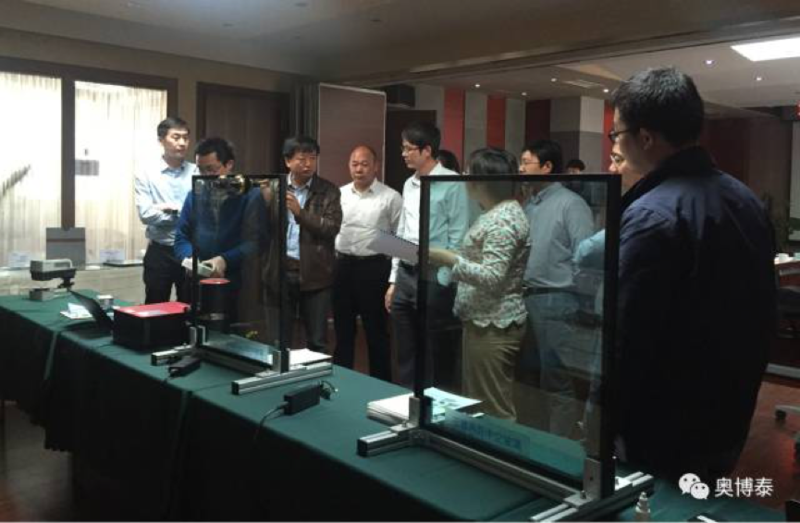 For the first time, the different operators within the IG industry have the possibility to conduct non-destructive analysis for triple and double glazed insulating glass units, even through coated and laminated glasses. To further address this intriguing topic about the need for solid as well as transparent quality control within insulating glass manufacturing, we have gathered here several interesting articles. The topics range from reducing quality related costs, to meeting the tightening industry standards, all the way to the latest innovations within the field of non-destructive insulating glass gas fill analysis. “ It should be no brainer for companies to determine competitive, profit inducing prices for their devices and services. In fact, the well-known equation is: manufacturing costs + profit margin = price. However, this seemingly simple and straight forward equation quickly sells itself a bit short, once diving deeper into the question of how many companies are actually fully aware of the quality-related costs that keep piling up when moving along the production chain? 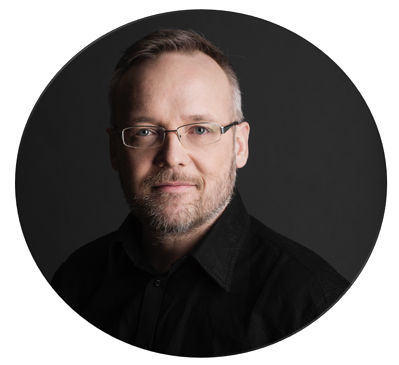 ”, asks Sparklike's Development Manager, Mr. Jarno Hartikainen, who has – due to his significant career in process development within the biorifining industry – a broad expertise in business and analysis development with special emphasis on product quality improvement. It is particularly challenging trying to manage the quality-related manufacturing costs, if the actual cost factors are not rigorously determined. To that end, this article, centers around the quality costs and the cost management measures. When accurately managed, companies can expect an important reduction in costs as well as a significant increase in their gross profit. Each company should have a clear aim of considerably reducing their quality-related costs. However, too many companies focus more on reducing costs, in general. At the same time, they might overlook the many benefits of truly recognising the causes of their quality costs. Finally, more companies should be more eager to turn the situation to their advantage by investing in proper quality control equipment. It has been estimated that quality costs account for approximately 20% of company’s annual turnover. Therefore, when imagining an annual turnover of 100 and overall costs 90, the gross profit will be 10. However, it is normal for companies to aim to double their annual turnover. There are two clear options that come in mind when considering how this goal could be achieved: either by growing annual turnover or by reducing costs. Nonetheless, meeting this goal by doubling the turnover, can be a bit too much for some companies to face head on. The second – and to some companies, the only viable option – would then be to reduce their overall costs. In this regard, quality-related costs are a great place to start. Often the easiest and quickest way to cut down costs, is either by letting employees go, tightening processes or by aiming for the minimum level of acquired quality. However, how many successful companies can actually afford to put in only the minimum acquired effort in order to maintain the integrity of their production quality? " This could be something that might work occasionally, but quickly the amount of reclamations, additional warranty works, compensations, product returns and eventually, the loss of loyal client base will inevitably turn into extra costs ultimately exhausting company’s initial savings gained through lowering their production quality, "Mr. Hartikainen says. 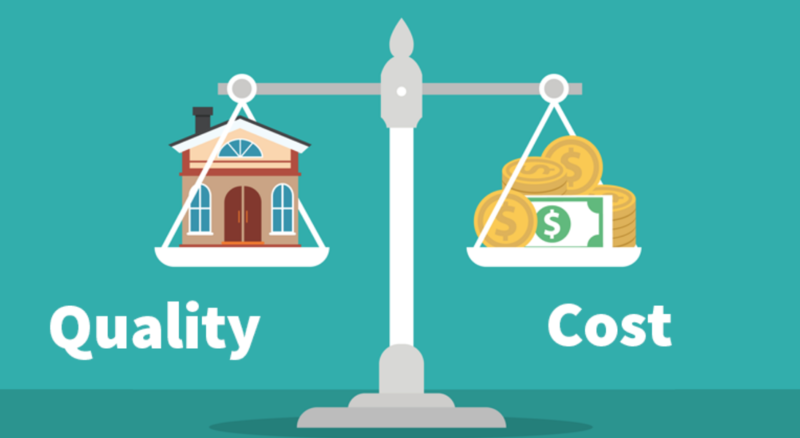 To get a closer look at the different components of quality-related costs, it’s useful to consider the two different categories originally presented by Jack Campanella in 1999 in his article titled: Principles of Quality Costs – Principles, Implementation and Use: the cost of poor quality and the cost of good quality. 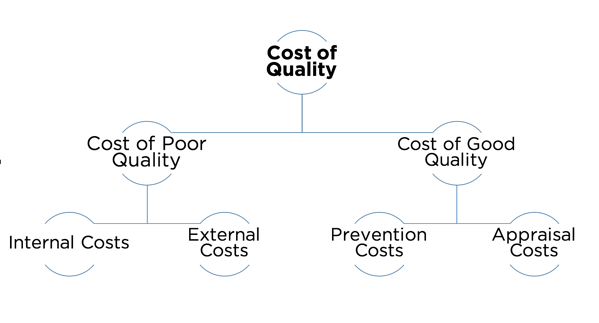 The figure number 1 below represents costs of quality, dividing costs of poor quality further into internal and external costs and the costs of good quality into prevention and appraisal costs. Campanella (1999) emphasises how determining the causes for the cost of poor quality can render them more manageable when the prevention costs are significantly intensified. Furthermore, Campanella explains how one unit of currency invested to the appraisal costs and the prevention costs – in other words toward the costs of good quality – reduces the cost of poor quality, many times over. The following chapter lists in more detail what are the seven different ways to reduce quality-related costs. This further categorisation and point-by-point presentation makes it a lot easier for companies to identify and successfully manage their quality-related costs in a revenue enhancing way, while keeping their production quality in line with customer expectations. A great example of controlling the costs of poor quality by investing in good quality is, investing in proper quality control equipment that helps to improve as well as to enhance quality control. However, these types of devices are often considered as significant investments. In reality, the payback period for the investment is extremely short. The popular saying: ”Quality is free, but low quality always comes with a price”, can act as a viable guideline that everyone responsible for quality would do well to remember and to live by. The awareness on how comprehensively the quality-related costs are actually under control, can only increase when investigating the various causes for quality-related costs. An example could be a company that manufactures insulating glass units (IGU’s) systematically controlling the quality of every hundredth unit manufactured. At the same time, the production line has known to struggle with quality challenges related to sealing the unit and therefore, every 10th unit has this particular defect. This, in return, leads to 50% of the insulating gas to escape by the time the IGU is ready to be shipped to the end-consumer. The probability of appropriately identifying this defect with the current level of quality control is, merely 10%. It could even be that the general standards don’t require more, but can the company in good conscience let the units leave the factory and still be confident that their production quality meets, let alone exceeds, customer expectations? The bottom line is that every customer expects notable quality. In the end of the day, each company is as good as the quality of their devices and services. Therefore, it is hard to believe that any company would voluntarily give competitive advantage to their competitors due to improper quality management. In reality, no manufacturer can afford to ignore their manufacturing quality, just because in short term they might save some money by not investing in proper quality control equipment. However, their company’s reputation should be worth much more than that. “ To sum up, the truth is that in today’s competitive world, accuracy, reproducibility, traceability and trustworthiness are of outmost importance. In addition, customers want to be able to trust in the integrity and the ability of the manufacturer to meet the prevailing norms, regulations – and most importantly, customer expectation. 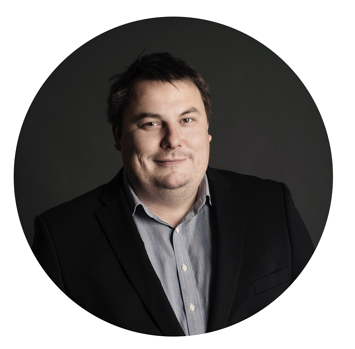 Time is money, and customers seldom, if ever, can afford to forgive errors, ” concludes Sparklike's Development Manager, Mr. Jarno Hartikainen. 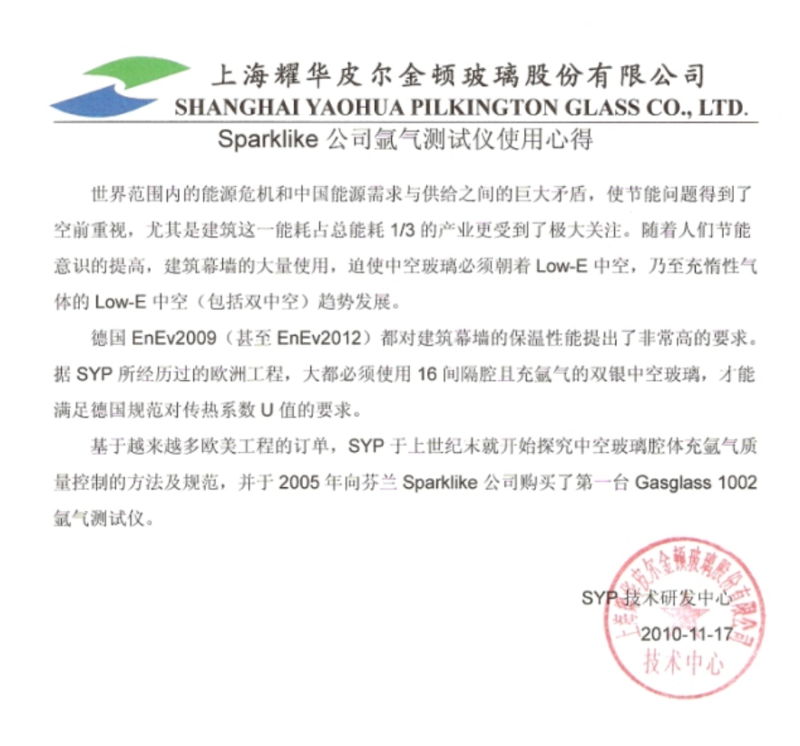 The following article discusses how Shanghai Yaohua Pilkington Glass Group Co., Ltd. (SYP Group) – one of China’s first publicly listed glass manufacturers – ended up writing a letter of recommendation for Sparklike Handheld™ devices, the first and only non-destructive insulating glass gas fill analysers for standard double glazed insulating glass units. The huge conflicts between the worldwide energy crisis and China energy demand and supply, draw unprecedented attention towards energy conservation, especially within the construction industry since buildings take up to one third of the overall energy consumption. In addition, along with the people’s mentality changing towards energy saving, the curtain wall usage on architectural buildings also saw a significant increase. All these changes compelled the Insulated Glazing development trends toward Low-E coated IG, even gas filling whilst including triple glazed units. In addition, the code EnEv2009 (even EnEv2012) in Germany made a very high requirement on insulation of architectural curtain wall. According to the European projects that SYP Group had worked on, most of the projects require that the IG must have 16mm spacers, Argon gas filling and double Low-E coatings. It was only with these configurations that allowed the IG manufacturers to meet the U value specified by this German Code. 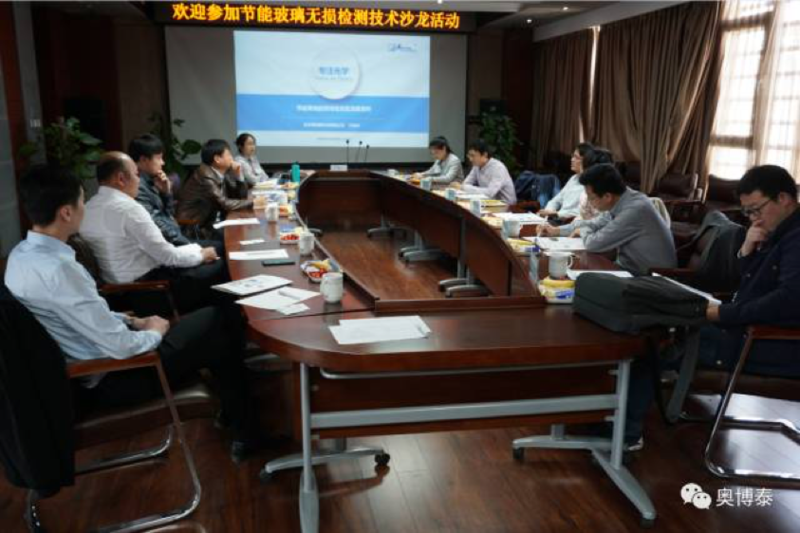 Furthermore, base on the more and more project orders from Europe and the Americas, SYP Group started the study on how to gas fill and quality control the gas fill. 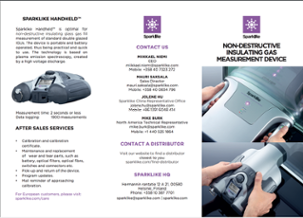 To that end, they acquired the first Gasglass 1002 – the predecessor of Sparklike Handheld™ devices – from Sparklike in 2005, only few years after the launch of these world's first and only non-destructive Argon fill analysis for standard double glazed insulating glass units. 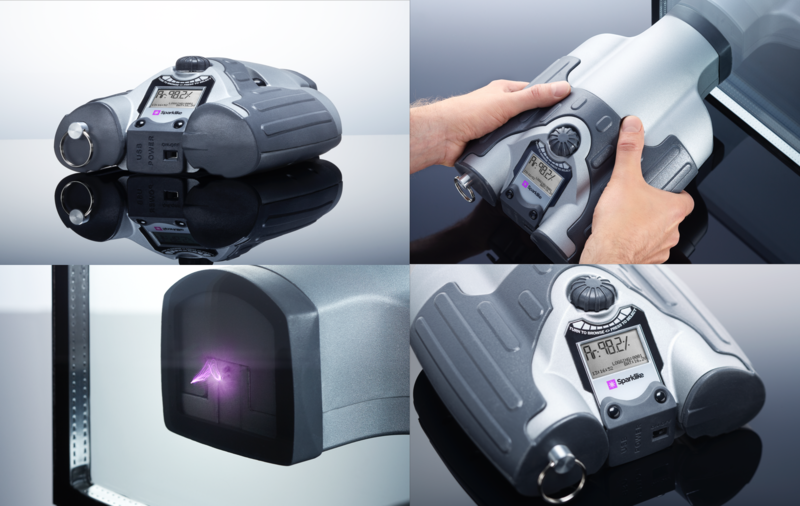 Sparklike Handheld™ device allow non-destructive Argon measurement in 2 seconds or less. As the one and only non-invasive test method for Argon gas concentration measurement in IG, it is definitely an innovation. It is not like gas chromatography or other oxygen test methods, which requires destroy the IG construction itself, and the IG cannot be used any more. When using the Sparklike test analyzer, there's no need to destroy the IG structure. In addition, at the same time the device operator can obtain accurate Argon gas concentration figure. Easy to use. Such device does not limit the usage environment in laboratory only, on the contrary, due to the easy use, only require simple training and technique demonstration, the inspector on production line may pick up easily. The Sparklike Handheld™ analyzer is mobile with free movements which enables the device operator to monitor at any time, hence it is the best partner of production line for Argon gas concentration control. According to the above mentioned advantages of Sparklike device™, all SYP group's subsidiaries acquired four Sparklike Handheld™ respectively in years 2007, 2008 and 2009 whilst been successfully applied to different IG lines for stable use, exert its great function at quality control. 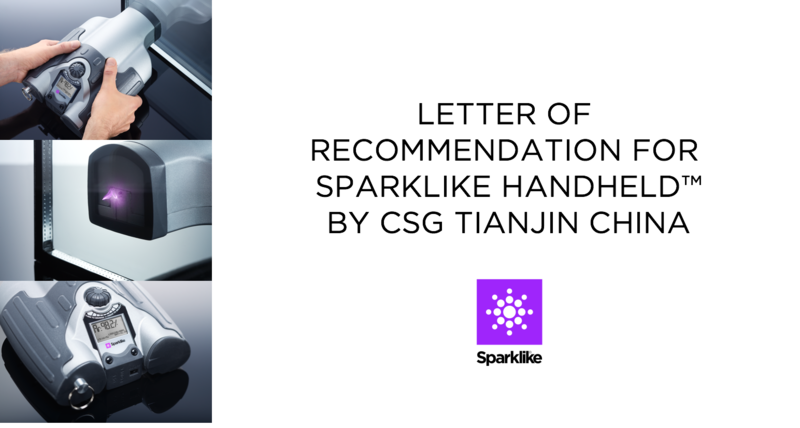 The following article discusses how CSG Tianjin – one of China’s first publicly listed glass manufacturers – ended up writing a letter of recommendation for Sparklike Handheld™, the first and only non-destructive insulating glass gas fill analyser for standard double glazed insulating glass units. Along with the energy policy development and people's minds drifting towards energy saving, the usage of Low-E has rapidly increasing throughout the Chinese as well as global construction industry. 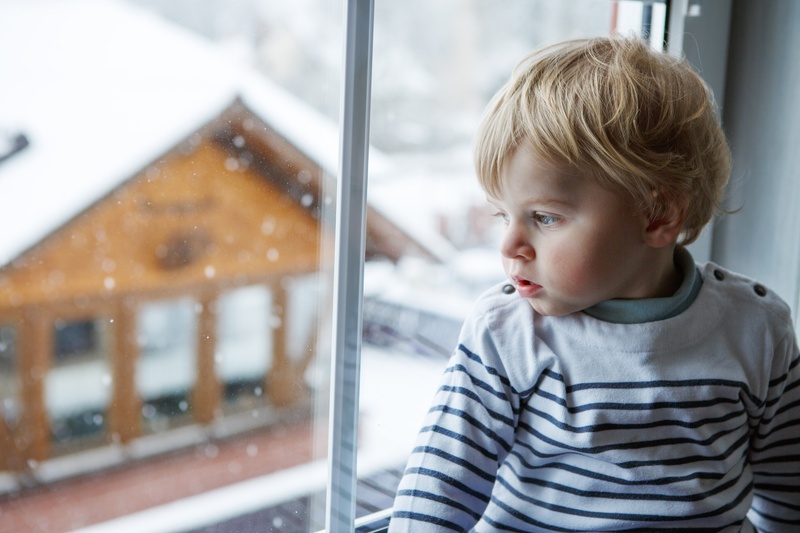 Furthermore, Argon gas filling to insulated glazing has become more and more common, since the Argon gas filling can convey positive results towards gaining significant energy savings. To further support this trend and since the cost of gas filling is very low and the process of the gas fill is relatively simple and easy, most of Low-E glass manufacturers usually do gas filling to their IG. When the usage of Argon gas filled IG increased, the need to measure the Argon concentration in the IG units became the focus of many studies. 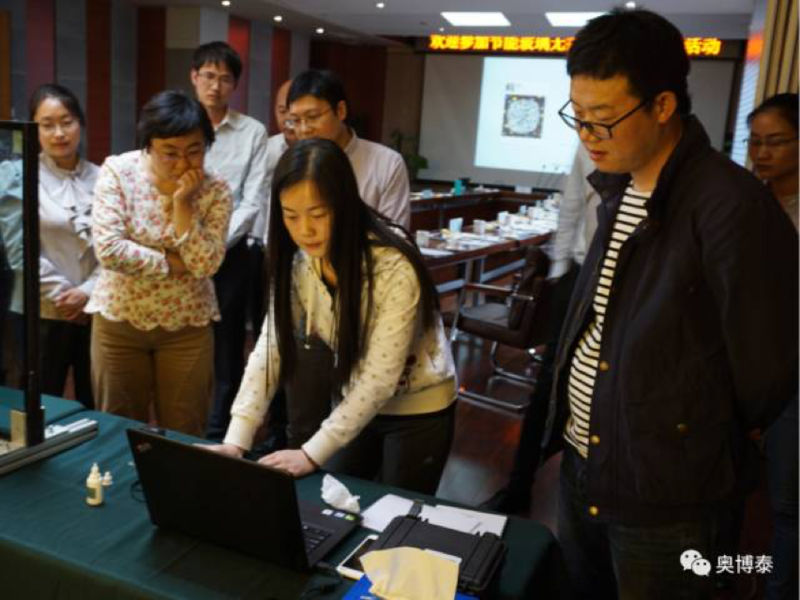 Furthermore, this non-destructive test method will also be included to the Chinese national IG Standard. In 2008, CSG Tianjin bought the mobile non-destructive Argon gas analyzer from Sparklike, and since then they has used it daily in their quality control operations, since the analyzer can easily and accurately measure the Argon gas concentration in the gas filled IG with one Low-E coating. The first generation argon analyzer they purchased can only measure the concentration above 75% but the result is very high. However, as a Nordic innovation driven company that holds several patents, Sparklike is highly dedicated to continuously improve their offering. Therefore, they quickly launched the Sparklike Handheld™ device which has since become the industry standard world wide, used daily by the world leading IG manufacturers, window and door manufacturers, testing laboratories, building quality inspectors and construction consultants. Because the weight of Argon gas is heavier than air, it is challenging to measure the accurate gas concentration right after the gas filling. This, on the other hand, easily leads to the quality inspection stage, which is not good for the quality control, whilst potentially heavily increasing the workload. After communication with the equipment manufacturer, CSG Tianjin obtained their own experience parameter, which enabled them to make the measurement right after the gas filled IG production and to achieve 90% as the initial gas concentration percentage. Therefore, such gas analyzer was not only fulfilling the function of inspection before delivery, but could also fulfil the function of production process control, allowing the device operator to determine if the gas filling equipment was working as it should. 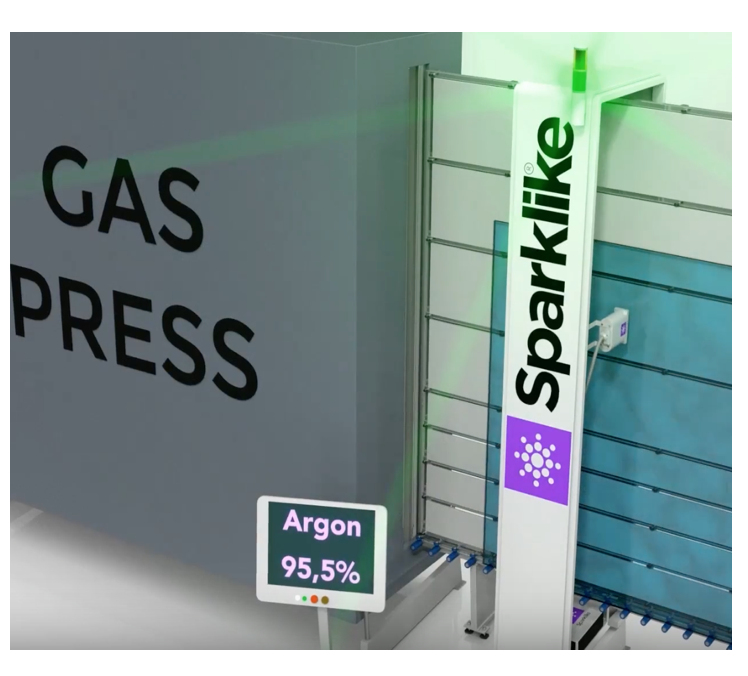 After two years using Sparklike's non-destructive Argon gas analyzer, CSG Tianjin established a set of matured operation flow procedures by themselves, which fulfilled the requirement from contractual and end-user point-of-view in terms of Argon gas concentration, whilst significantly decreasing the risk of additional workload, and preventing customer complaints. measurement time of 2 seconds or less. Finally, Sparklike Handheld™ devices are known for their smart operating system, which shows error code, and shows the Argon gas concentration measurement result in a way of clear and accurate way. in 2 seconds or less. the total solar energy transmittance - g value and Shading Coefficient - Sc value etc. 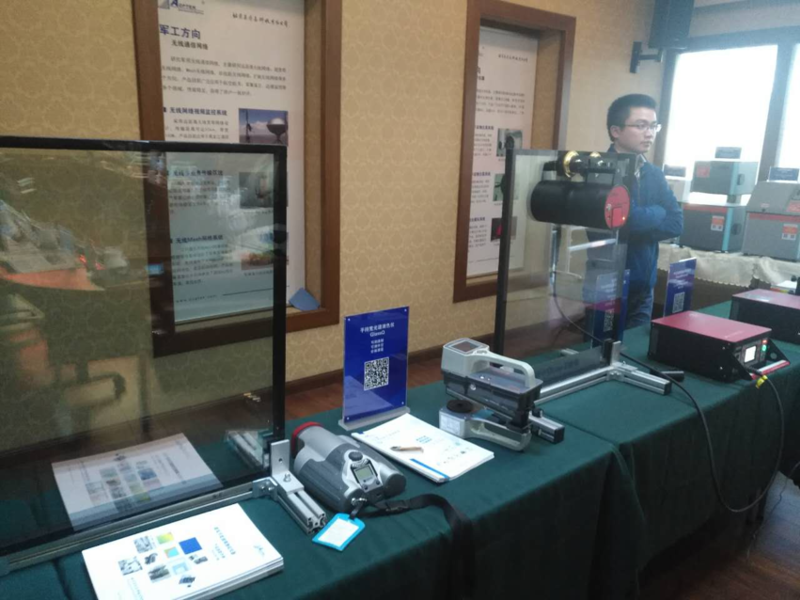 During the event, AOPTEK also gave a demonstration on how to use Sparklike Handheld™, the non-destructive insulating glass gas fill analyzer, so that the experts could see how easy these devices are to operate. 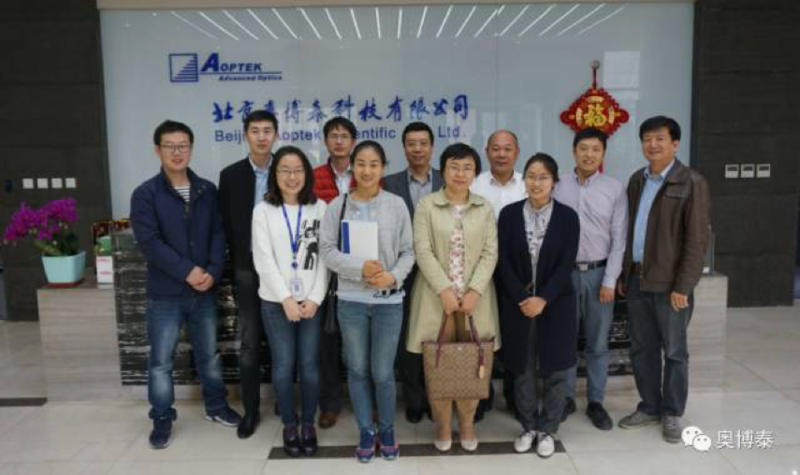 The original text released on 2017-04-14 by Beijing AOPTEK Scientific Co., Ltd.
Sparklike was happy to meet and interview Interpane’s Sabine Dankesreiter (QA/QC Technician) and Luis Hidalgo (QA/QC Manager) for the insulating glass production. 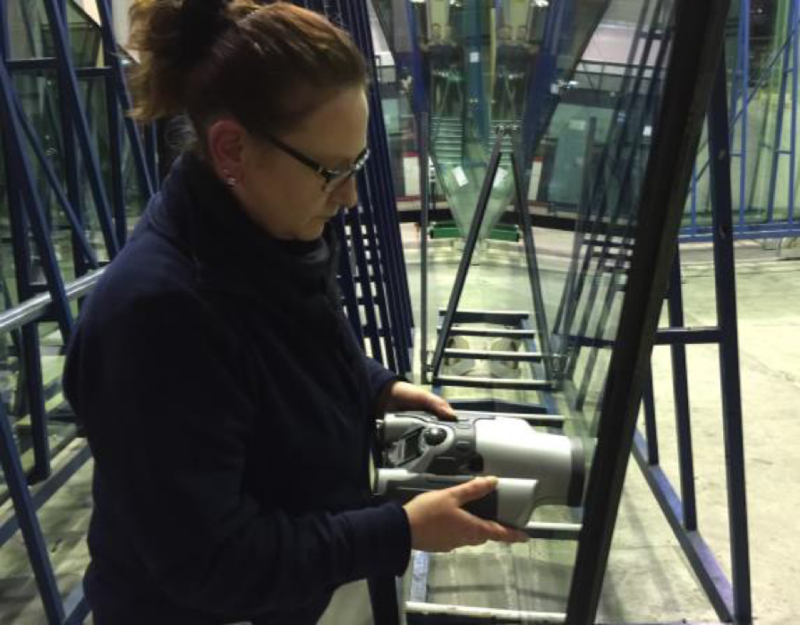 Sabine was the lucky one to win Sparklike Handheld™ device at glasstec 2016, the biggest glass industry event. Sparklike Handheld™ is optimal for non-invasive analysis of standard double glazed IGUs. The device is portable and battery operated, thus practical and quick to use. AGC-Interpane is one of the major European glass processors, producing over 250.000 square meters of insulating glass units only in Plattling facility per year. The corporate group comprises other production facilities in Austria and France, but their headquarter is located in Germany. AGC-Interpane provides a wide product range that includes float glass, high-quality coated insulating glass, all-glass doors and panels, to mention a few. Interpane’s reputation in the German and European glass, window and façade construction industry is legendary. Nowadays, the AGC-Interpane group – with factories at eleven locations in Germany, Austria and France – is so well established that it is difficult to imagine the window and façade sector without them. Therefore, Interpane takes great pride in being able to produce superior quality glass. In order to guarantee the superior quality control to their products, the company purchased their first Sparklike Handheld™ device in 2016. Before it, they ensured the quality of their glasses using test laboratories and invasive gas concentration measurements. This caused them some challenges, such as the lack of cumulative data and not being able to test the quality without invasive techniques requiring time extensive operations during the testing of finished insulating glass secondary seals. This, on the other hand, created some environmental and cost based challenges. Furthermore, the extra benefits that AGC-Interpane is looking forward to receiving from the non-destructive measurement, is to save on costs and time. This is mainly due to the fact that the non-destructive measurement does not require breaking the insulating glass unit or repairing the sealant components after testing with invasive techniques. In addition, with the help of Sparklike’s patented technology, Interpane is able to conduct the analysis at any point of the production flow for double glazed IGU’s. In other words, non-destructivity allows them to deliver tested IG units, test already installed units or perform long term testing to their production. To keep reading why there's no need to break the insulating glass unit in order to conduct insulating glass unit's argon fill analysis, click this link. 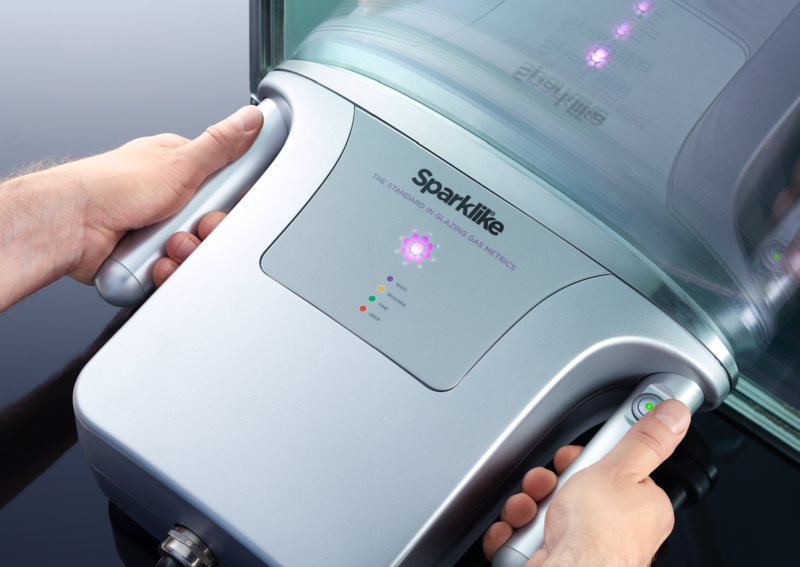 AGC-Interpane also received Sparklike CARE™ for their new Sparklike Handheld™ device, which is an annual care free service agreement. 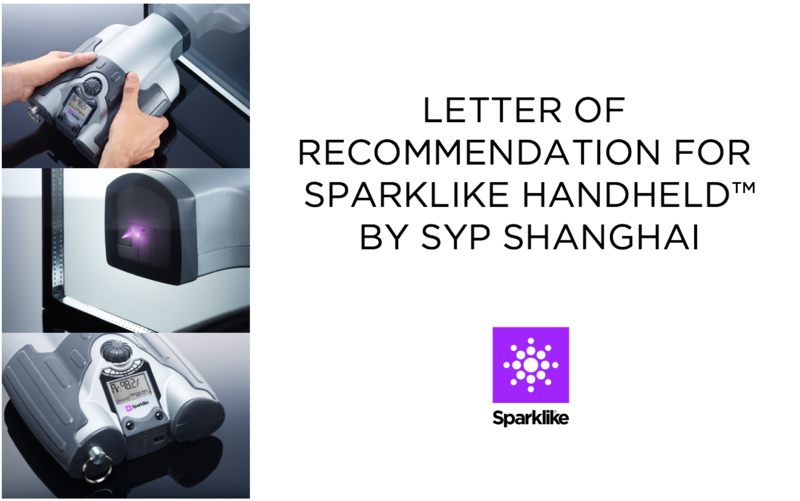 “We were very happy to find out that this new device came with Sparklike CARE™. This annual service agreement makes sure that our Sparklike Handheld™ device is up to date, that we are gaining extended product life… and of course saving a good amount of money!” Sabine concludes. 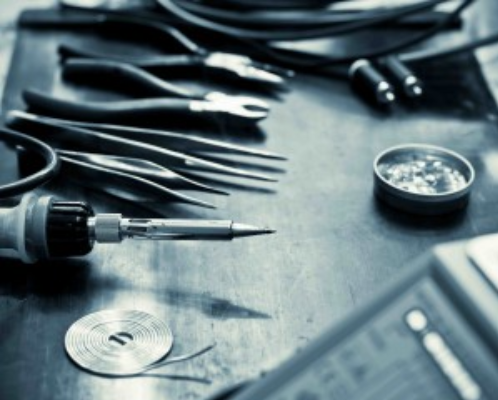 To keep reading why it is important to service quality control equipment annually, click this link here. The following specialist article discusses the development of Sparklike Laser™ product line and most importantly, the newest member of the product line, Sparklike Laser Online™ device. These devices allow automated measurement of insulating gas fill without breaking the insulating glass unit (IGU) or without having any extra components inside. Furthermore, this laser based technology enables the insulating gas analysis of triple and double glazed IGU's, even through coatings and laminated glasses. The article was written based on an interview with Mr. Kai Niiranen, the R&D Engineer at Sparklike Oy, the person who has developed the never-before-seen analysis technology. Mr. Niiranen has held the position as Sparklike’s R&D Engineer since 2011. Mr. Niiranen developed the product line to correspond to the changes in the insulating glass industry, where an ever-increasing number of IGU's are manufactured with coating on both sides. Thus, a new technology was needed to enable non-destructive gas concentration measurement through coatings and laminated glasses. Before the development and manufacturing of the product line, Sparklike was selling Sparklike Handheld™ devices that have since then become the industry standard when analysing the argon or krypton concentration for standard double glazed IGU's. Furthermore, every device comes with the Laser Software by Sparklike, which is run in the Windows 10 IoT Enterprise operating system. To enhance the device's user-friendliness, there are several language options available for the software: English, German and French. Other language options, such as Spanish and Italian, will soon be available. 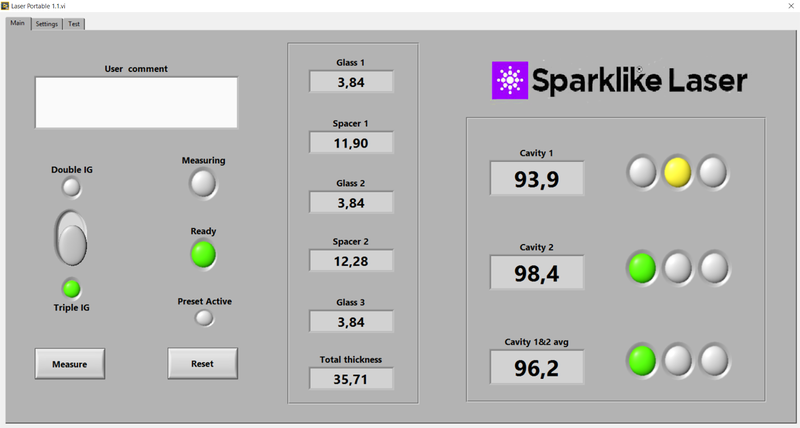 The image below shows example results on the Laser Software by Sparklike, when measuring a triple glazed insulating glass unit. In addition, specific commands enable the measurement of the IGU in sync with the production line. This, on the other hand, allows a much shorter measurement cycle. In this way the measurement time can be reduced even down to 9 seconds when measuring double glazed units, and all the way to 15 seconds when analysing triple glazed IGU's. In other words, the measurement time depends on the settings and the nature of the IG structure. 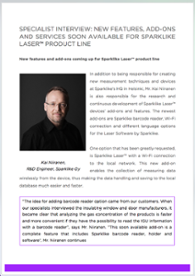 The following specialist article discusses the technology behind Sparklike Laser™product line. This article was written based on an interview with Mr. Kai Niiranen, the R&D Engineer at Sparklike Oy, the person who has developed the never-before-seen analysis technology that allow the measurement of insulating gas fill without breaking the insulating glass unit or without having any extra components inside. Mr. Niiranen has held the position as Sparklike’s R&D Engineer since 2010. Kai Niiranen holds a Master's Degree in Optical Technology and a Bachelor's Degree in Automation and Electronics. His past job experiences include working as Production Engineer in brain navigation and stimulation manufacturing company Nexstim and as Testing Engineer in mammography manufacturing company Planmed. They are both high technology companies in Finland with worldwide business operations. Mr. Niiranen developed the Sparklike Laser™ product line to correspond to the changes in the insulating glass industry, where an ever-increasing number of insulating glass units are manufactured with coating on both sides. Thus, a new technology was needed to enable non-invasive gas concentration measurement through coating and laminated glasses. Bearing that in mind, the initial development process was started by first, searching and comparing a plethora of non-destructive measurement techniques used in gas detection. After which, it was time to rule out techniques which were not capable of making a measurement through glass; clear, coated or laminated. During the 3rd phase of the development process, Mr. Niiranen started to compare the remaining options by using criteria such as; possible achievable accuracy, price, size and the power needed in terms of input and output. From there he narrowed down the different options to one choice, which was to utilize the laser based TDLAS technology. All devices within the Sparklike Laser™ product line are based on TDLAS (Tuneable Diode Laser Absorption Spectroscopy). By using this technology, the device measures oxygen and from there, the amount of argon, krypton or other insulating gas, can be calculated. 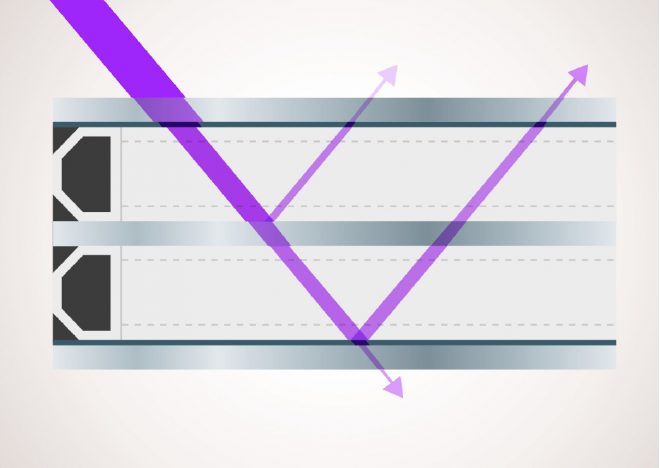 When measuring the gas concentration inside an IG unit, the laser beam goes through the first pane and is reflected to the detector from the first surface of the second pane. In addition, with a triple insulating glass unit, the laser beam goes through two panes and is reflected from the third pane. Finally, in order to get the focused laser beam to the correct measuring point, the IG dimensions are first scanned. This is done by moving the focused laser beam through the IG and collecting the reflected signal in order to obtain accurate dimensions of the IG. This, in return, enables the calculation of the gas concentration(s). As Sparklike Laser™ product line was developed to correspond to the changes in the insulating glass industry, Mr. Niiranen first developed the Sparklike Laser Standard™device which is an offline solution for test laboratories and desktop use. This device was later integrated into a robust case with wheels and a battery for mobility in factories and building sites, and labelled Sparklike Laser Portable™. The third and latest addition to the product line is Sparklike Laser Online™, which is a custom-made solution that is integrated to an insulating glass line for automated inspection. To keep reading why there's no need to break the insulating glass unit in order to conduct insulating glass unit's argon fill analysis, click this link. Different IGU coatings have different transmissions. Opposite for transmission, is reflection. Simple equation for reflection is R = 1 – T, where T is transmission. When measuring an IG unit with a low transmission on the first pane and high transmission (low reflection) on the surface where the beam is reflected to the detector, the measurement signal is small and the device accuracy can be reduced. On the other hand, when the situation is opposite, the reflected signal as the device accuracy, is high. 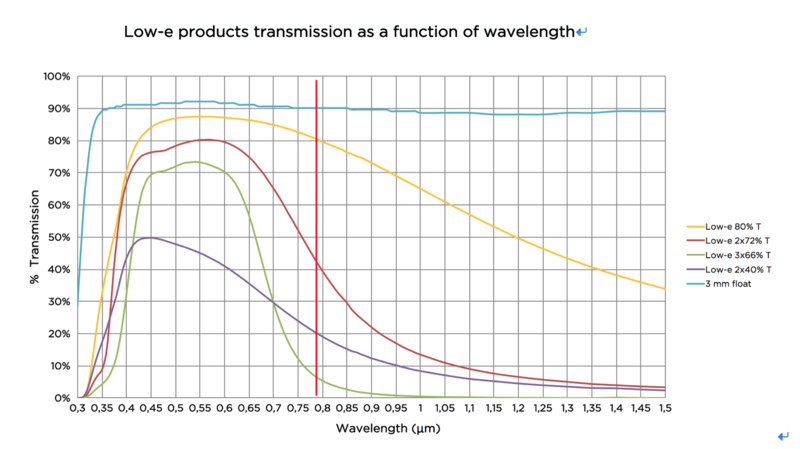 The following figure shows different low-e product transmissions versus wavelength, where the vertical red line indicates the laser (wavelength = 760 nm) used in the Sparklike Laser™ devices. Figure: Float and different low-e coated glass transmissions. As we can see from the above figure, different coatings have different transmission spectrum and the transmission depends on the wavelength. We would love to talk to you, fill in the form to get in contact with us!